In a large pot, heat water and salt to dissolve. 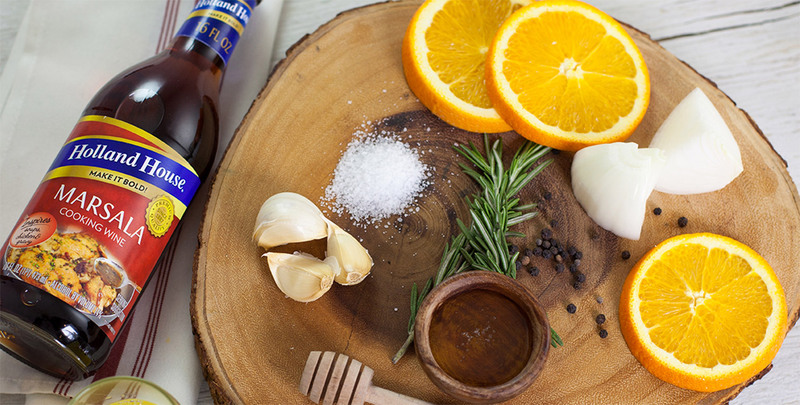 Remove from heat and add in Holland House® Marsala Cooking Wine, honey, orange juice, orange slices, onions, garlic cloves and black peppercorns. Chill. After chilling, add desired protein and brine for 12-24 hours.